A Facelift will help tuck up sagging skin, restore your natural cheek and jaw features and generally achieve a more youthful appearance. For both men and women, facelift can uplift the spirit as well. This is another of the many outpatient procedures which Dr. Grenga performs to help you look your best. Particularly in today’s fast paced, competitive market, it’s not enough to do the job well; you have to look the part, too. A Facelift may be the answer to that tired look, those extra lines and excess skin. Often, facelift is combined with eyelid tucks, chemical peel for lines around the lips and neck lifting for double chin. 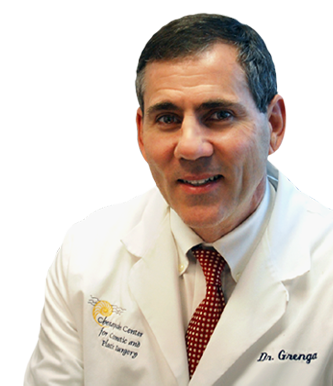 Your consultation with Dr. Grenga will allow you to learn how your facial rejuvenation can begin soon. 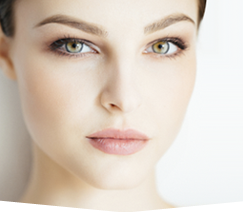 Facial skin health, sun protection and long-term skin care are among the many facial cosmetic concerns which the Chesapeake Center for Cosmetic and Plastic Surgery offers you in conjunction with rejuvenation procedures such as facelift. The facelift procedure is intended to restore a more youthful contour to the cheeks, jowls and in some instances, the neck. To a variable extent, skin is tightened, extra fatty tissue is removed, and to create a longer lasting effect, a muscle lifting is performed at the deep layer of the procedure. Whenever possible, the incisions are placed in the natural creases that are located around the ears, within the hairline, or hidden behind the ear. The photos of the woman who is shown here demonstrate the improvement of the facial contours that are produced by face lifting. Notice that there are no visible scars. The significant improvement of the jawline and neck definition has erased years of aging from this attractive woman’s profile. The best candidates for face lifting are those who have never smoked, those with skin that is not excessively damaged by the sun, and very importantly, women and men who are healthy. There is no age limit per se but the best results are produced when this procedure is performed between the ages of 35 and 60. Among the features of aging are skin folds in the neck and creases on the face. Facelift and neck lift are combined through the same incision to rejuvenate the facial appearance. The jaw line is crisper, the skin bands on the front of the neck have been eliminated and the cheeks appear firmer. When facelift is combined with neck lift, accumulated fatty tissue is reduced in the neck and loose skin is tightened in the neck and on the face. The youthful shape of the neck is revealed once again. Learn more about Face Lifts here.